The North Vietnamese surprise attack on dozens of military sites in South Vietnam, including the US embassy in Saigon, had a seismic impact on the US public. While a military failure for the North, it was a huge propaganda success. 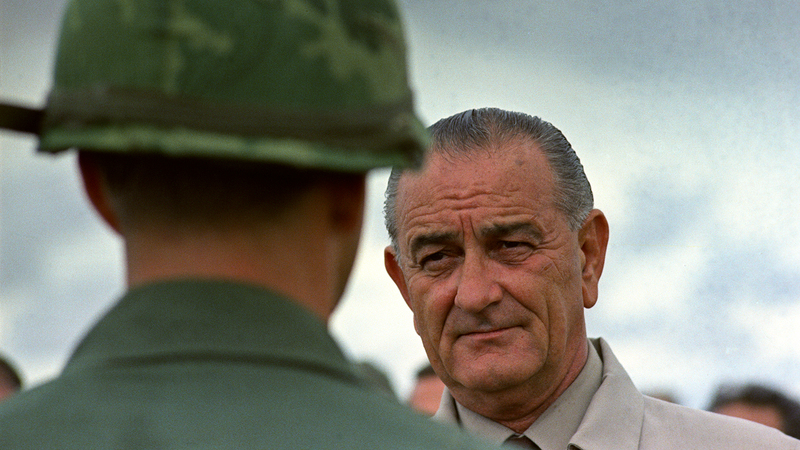 Attitudes in the US towards the war and toward President Lyndon Johnson were never the same. Lyndon Johnson's March '68 announcement, that he would not seek re-election, stunned the nation and the world, and marked the effective end of a political career that had once seemed bound for Rushmore-level greatness. Rev. Martin Luther King Jr. and President Lyndon Johnson worked together to achieve major civil rights victories in 1964 and 1965. But then the Vietnam War got in the way. King's public denunciation of the war was widely condemned, even by many in his own movement, and ruined his relationship with Johnson. “Whammo,we got caught with our pants down,” a CIA analyst says of the Tet Offensive, the massive surprise attack that North Vietnam launched against American and South Vietnamese forces in the pre-dawn hours of January 31st, 1968. Fifteen months into Lyndon Johnson's presidency, the country still knew little about the Vietnam War. This changed in February 1966, when Sen. William Fulbright began the first televised, public hearings into the administration's handling of the conflict. “I’ll try to be worthy of your hopes,” LBJ told Martin Luther King, just days into his presidency, and for the next two years, largely made good on that vow. Dr. King, for his part, recognized their common goal – racial and economic justice – and threw his own considerable weight behind it, until finally, the war in Vietnam made it impossible to do so any longer. A look back at the 1967 speech that broke their bond forever. In an April 1965 address to the nation, President Lyndon Johnson laid out his argument for expanding US involvement in Vietnam. From archival audio, we now know that Johnson had believed for at least a year that the conflict was a disaster in the making. Why did he continue to push for escalation in a war he didn't think was worth fighting? What really happened in the Gulf of Tonkin in 1964? Historians still argue about what exactly happened in the Gulf of Tonkin in August of 1964. What’s not in dispute is the aftermath: A resolution from the Senate passed by a vote of 98 to 2 authorizing President Lyndon Johnson to use whatever force he thought he needed against North Vietnam. The resolution was a major escalation of US involvement in Vietnam and helped Johnson win the presidential election. But it was built on a lie. LBJ knew the Vietnam War was a disaster in the making. Here's why he couldn't walk away. The Vietnam War was a searing event in the history of the US. According to rarely heard audio recordings, President Lyndon Johnson expressed great misgivings about getting deeply involved in the conflict, but at every crucial juncture made the decision to do so. This series examines how and why that happened.